Massive in Asia, BB (blemish balm) creams are one of the biggest beauty trends right now with everyone and their mother bringing out a variation for the European market. These products are a skincare/cosmetic hybrid and promise to protect, perfect and hydrate, all in one. Garnier were first out of the traps -- I tried a sample and quite liked it, but the yellowish tinge and heavy scent prevented me from picking up a full-sized tube for €14.99. Boots 17 were hot on their heels and beaut.ie broke the news that the Estee Lauder version (€40), not officially out until February, is previewing in Brown Thomas now. Clinique's offering, Age Defense BB Cream, is launching mid February and price-wise, falls in between the products I've just mentioned. It will be €32 and, like the Boots, Garnier and Estee Lauder versions, is currently only available in two shades. Let's hope somebody, somewhere, is working on a more extended shade offering that will cater for those with darker skintones. I was sent the cream for those with pink undertones, and on first viewing I thought it would be too pink and would look ashy on my skin. But once I'd blended it out it gave my face a radiant, dewy finish that didn't look unnaturally light. Coverage is equivalent to some light-coverage foundations I've tried -- it's sheer, but enough to cover redness and even out my skintone. Concealer is definitely required to cover blemishes, but powder feels unnecessary thanks to the product's oil-control formula. Because it's so sheer, it makes me want to use less makeup elsewhere, and I just fill in my brows and add some Creme de la Mer lipbalm, YSL mascara in Bronze Black and Bourjois blusher in Lilas D'or. 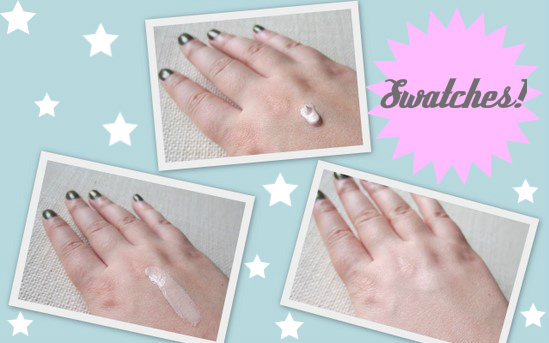 The product can also be worn as a primer, which I've yet to try out. So that's the cosmetic part but skincare wise, what does this product have to offer? First up, it has an impressively high SPF of 30 and carries the highest PA rating (Grade of UVA protection), of PA+++. It also contains antioxidants and Vitamin E to protect against the environment, and caffeine to sooth and calm the skin. So far, I'm liking this a lot. I like the finish and the formulation and the fact that it's scent-free. While it's not one for bad skin days, it's perfect for days you want a light, natural finish. One of my beauty resolutions this year is to be better about sunblock and this product takes care of that for me without fussing with a foundation and separate sunscreen. And the added skincare benefits make me feel like I'm being very vigilant in taking care of my skin when actually, I'm making no additional effort at all. What do you think, will you be giving this a try? 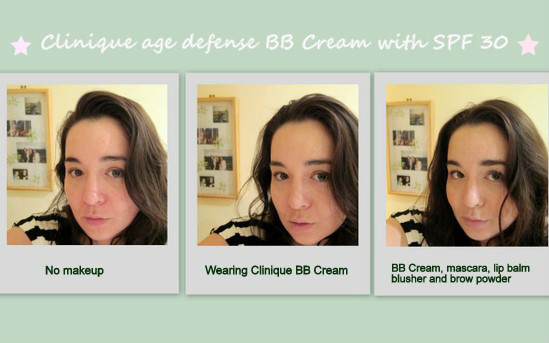 Have you used any other BB creams and what did you make of them? 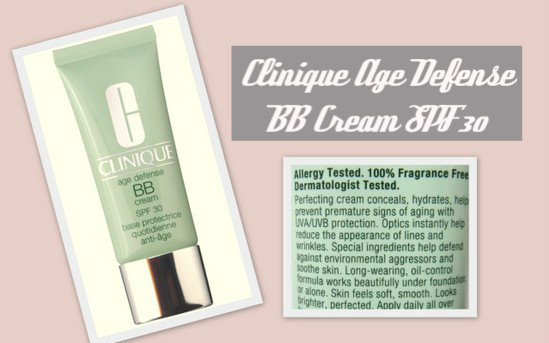 Clinique Age Defense BB Cream will be available from Clinique counters nationwide from 17th February, priced at €32. Thanks Sarah - I really like it and it has come into its own today as my face feels dry and irritated (new cleansing routine) and this stuff has really soothed it. I actually was reading an asian blog recently and she kept referring to BB and I had NO IDEA what she was talking about but didn't want to ask. You've cleared that up now. I'll definitely be trying one of these out as I'm very prone to the odd breakout. Such a pretty post! I'm a big Clinique fan - love the sound of this. This looks lovely on you. I might have to have a closer look at it when it arrives on counter. @cornflakegirl Thanks Paula, it's brilliant stuff, I will be writing a bit more on it when I review my new skincare stuff as like I said above, it's really come into its own! Sounds fab Emma - I'll certainly be giving this a try. I've never used a BB cream before nor knew of their existence - thanks for your tips ! This sounds like a good one to try. I've used the garnier one before but found it kind of greasy. Hi! I will try it , very soon.